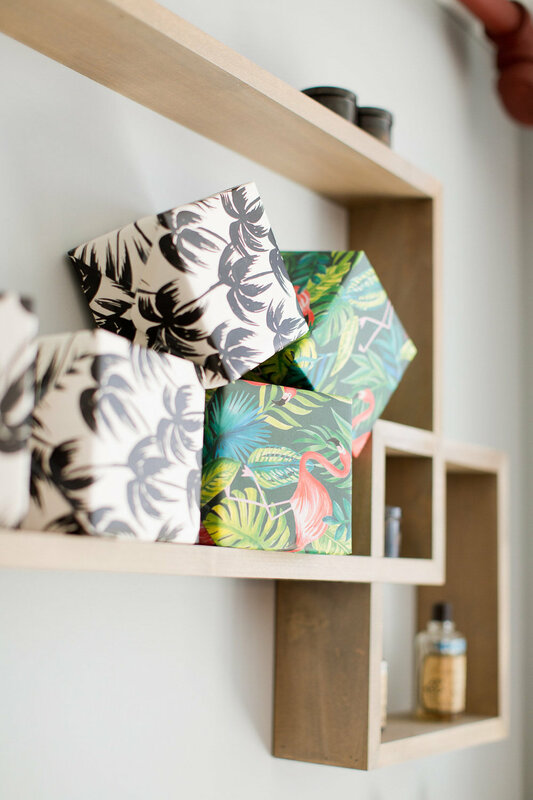 I'd like to take a moment to turn the spotlight on an emerging event planner I've been fortunate to work with on a couple of occasions this past year: the truly talented Blaire and her artfully curated aesthetic at Copper + Cream. She not only knows how to create a tasteful & lovely occasion, but she's skilled at bringing together a remarkable team of creatives as well. 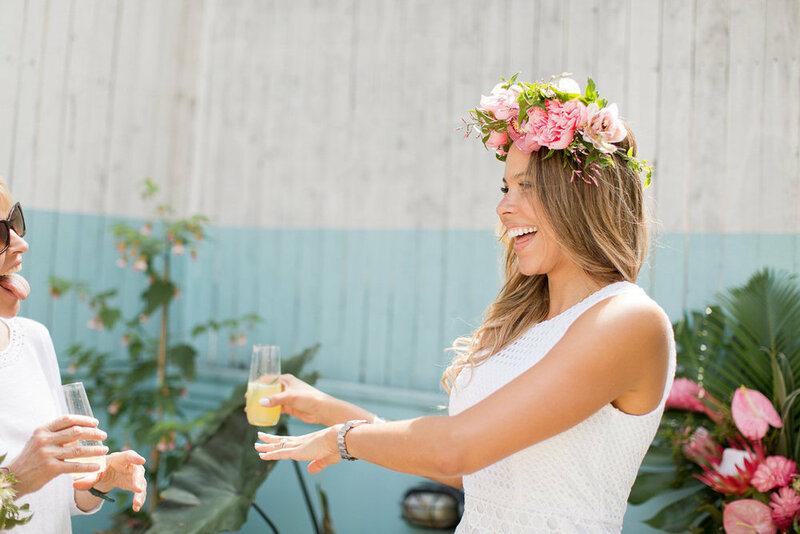 The first celebration we teamed up for: a mani + pedi bridal shower, complete with mimosas, show-stopping greenery and an entourage of gal pals. 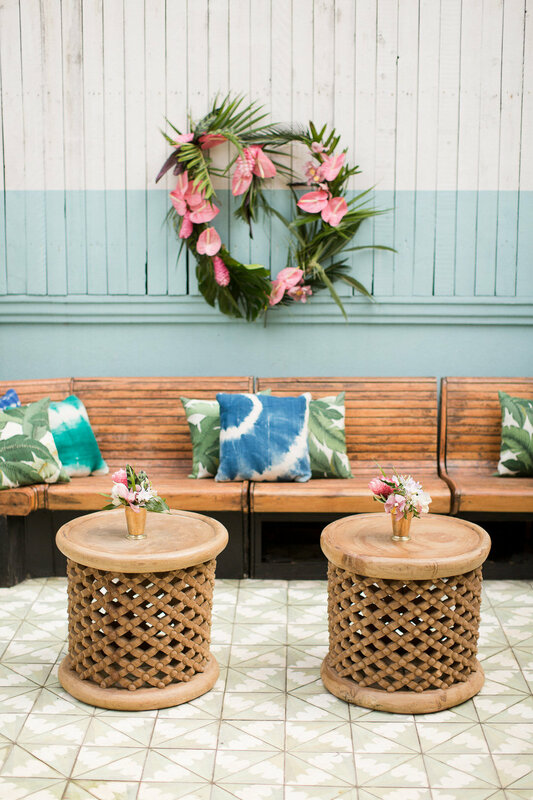 Bringing the sister-of-the-bride's vision of a laid-back California vibe in the middle of New York City to life, Copper + Cream dressed up Tenoverten SoHo's dreamy patio with palm print pillows, proteas, and shibori-dyed cocktail napkins. As Blaire aptly put it, "The result had us all California dreamin'!" 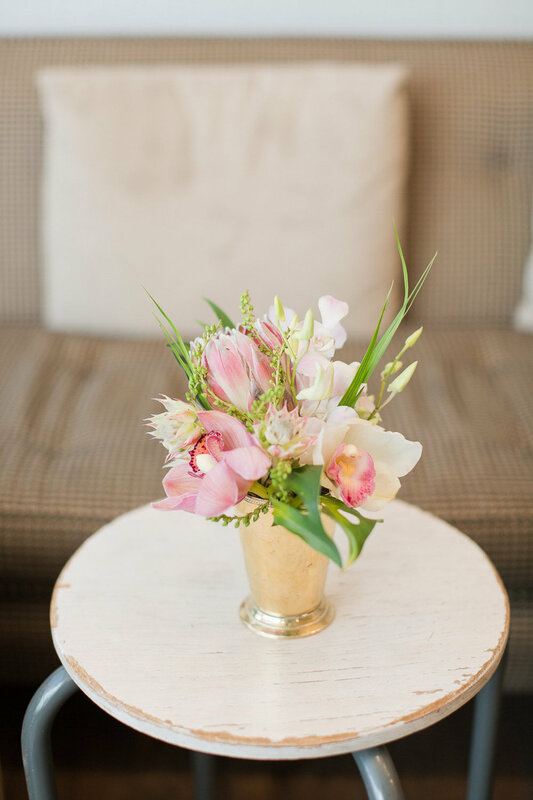 The whimsical floral creations by Wild Bunch (undoubtedly one of my new favourite florists) brought the vision to life. 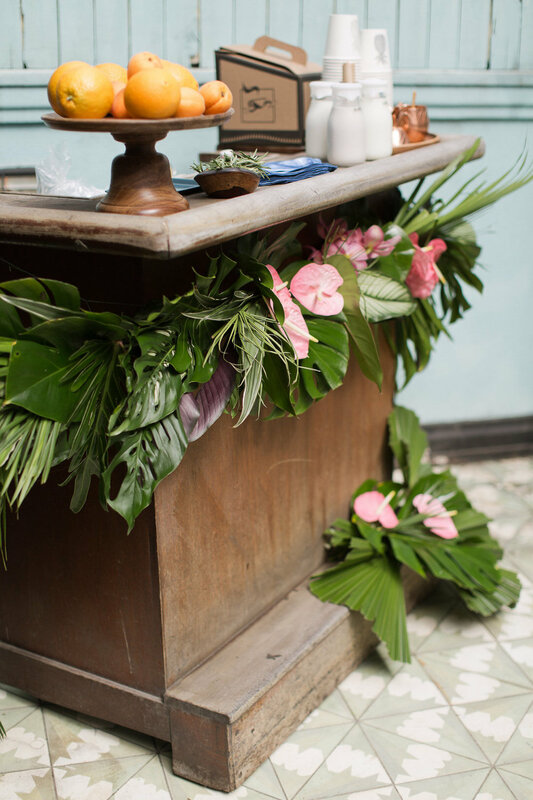 Sculptural arrangements with a tropical edge made for a combination that was both feminine and fun, without being too girly. 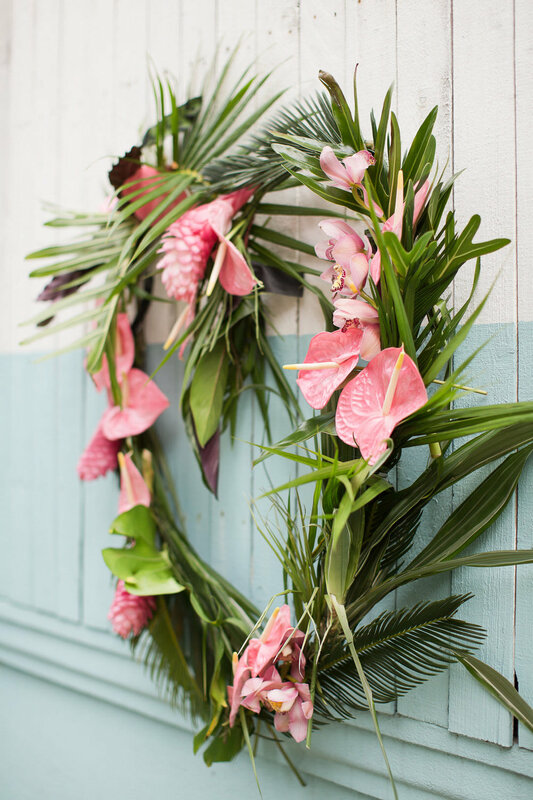 Using several variations of tropical leaves to create an interesting base, palm and monstera foliage was complimented with the sculptural nature of tropical blooms such as ginger, anthurium & protea while orchids, peonies and blushing bride added hints of soft and pretty. 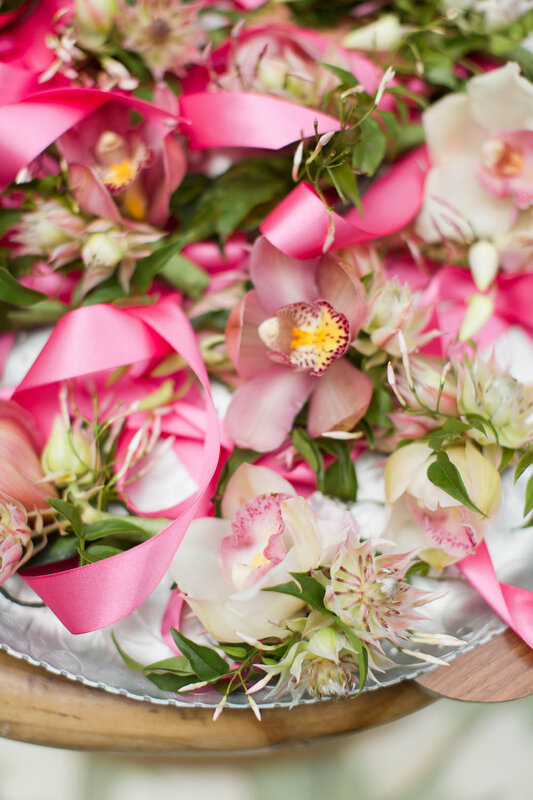 "I loved doing the wrist corsages for all the girls. It was nice for everyone to have something to wear, and corsages were perfect as hands were such a big part of the event!" 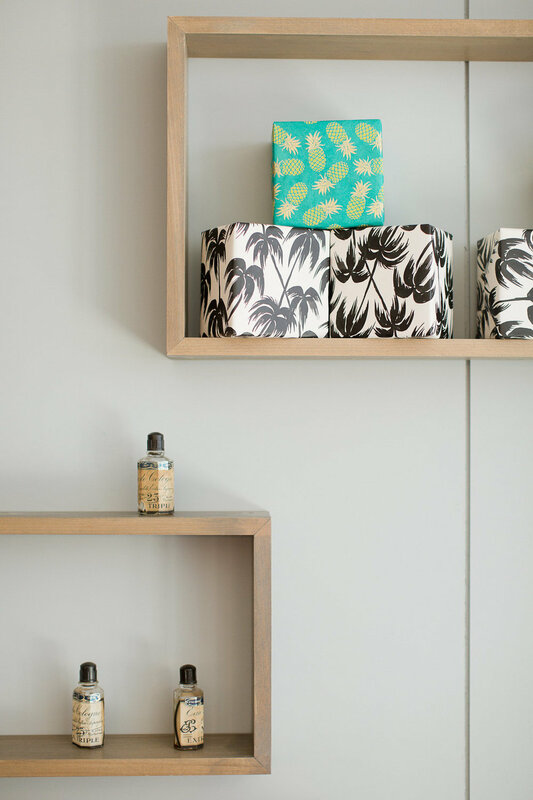 If that isn't enough to tantalize your palette, Nourish Kitchen + Table's broader philosophy is surely swoon worthy. A seasonally-influenced, locally-inspired takeaway food shop and café, they offer the West Village community the comfort of a kitchen away from home. 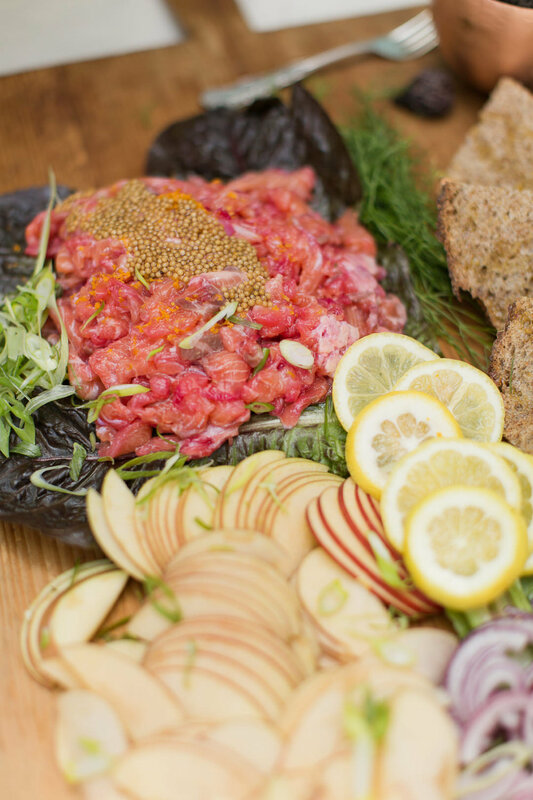 Created by nutritionist and chef Marissa Lippert, who understands the need to bring flavor and balance back to the table, Nourish’s innovative fare bridges the gap between healthful eating and really delicious food. It’s vibrant, fresh, feel-good food you want to eat. Striving to connect with the community outside their walls, they initiate conversation at their larger table, where they hope to spread their mission of cooking and dining with awareness, generosity and lots of laughter. This means supporting purveyors and charitable causes close to their hearts, such as NYC’s No Kid Hungry in conjunction with Share Our Strength, to help address food insecurity and encourage healthier eating for little mouths. They take pride in sourcing the freshest ingredients from local purveyors and supporting sustainable farming and cooking practices. The items on their menu have a story behind them – from the farmers they work closely with, to the artisanal wine and beer producers they feature, to dishes that are influenced by their team’s varied backgrounds and family food cultures.